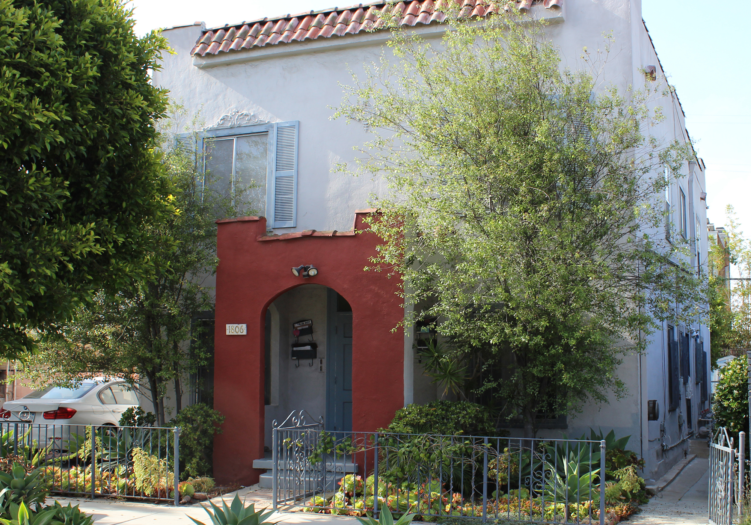 Spanish style 1924 two-story fourplex with permitted studio. Top units have decks. One bottom unit has yard and parking space. The studio with open floor plan, high ceilings, skylights and private yard was built in 1983. There is a bathroom with shower and efficiency kitchen but cooking is not allowed. It is attached to unit #B and must be combined. Great location near Abbot Kinney Blvd. and the beach.